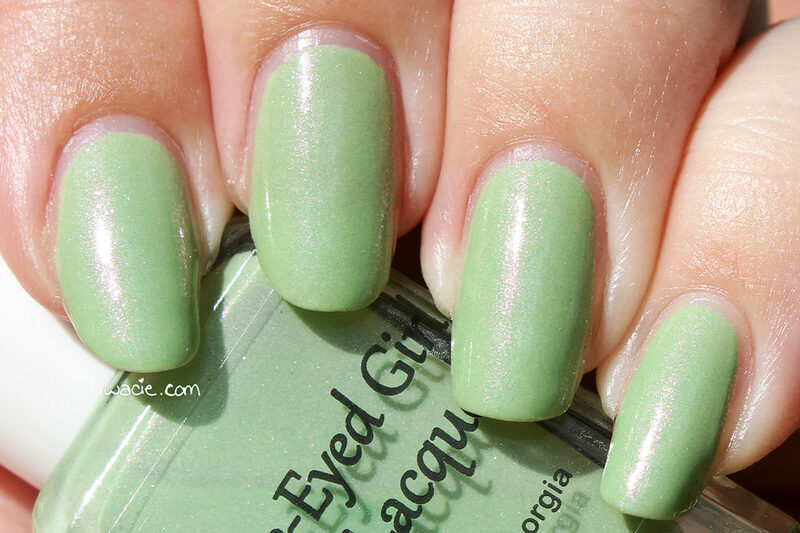 This entry was posted in Swatch Saturday and tagged Blue Eyed Girl Lacquer, green, indie, shimmer, swatch. I love the shimmer in this. It’s the perfect spring color! That is such a beautiful and unusual combination. I really like that. A lot! This lime greens is such a beauty! This is a pretty green!! I’m not a huge green fan but love that shimmer! The shimmer makes this stand out. It’s too bad it’s gone. Oh wow – I love the shimmer in this! Oh, what a unique and different kind of color — very fun, to be sure! Not sure I could pull it off, though. Maybe in the spring! Girl, you can pull off anything you want to! That shimmer is so pretty! What a great contrast against the lime! 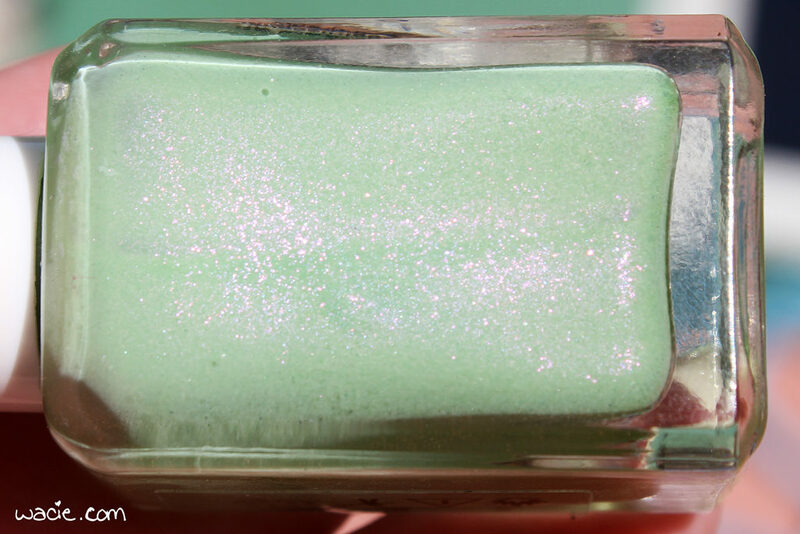 This is my favorite type of green polish! So pretty. That pink microshimmer is very pretty! I’ve never seen that in a green polish. This green is just stunning!!! I love that shimmer!! !